Tristan met Yugi at the same time as his long time pal, Joey. Even though these two friends bicker every once in awhile, they always cover each other’s backs. Sometimes he’s quick to panic, but when it comes down to it, Tristan Taylor is willing to do whatever it takes to support and cheer on his friends. 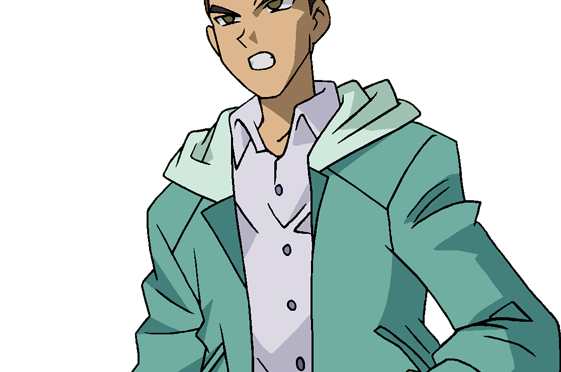 Joey Wheeler‘s partner in crime, and a member of the group, Tristan comes with Yugi to Duelist Kingdom for moral support. He does not have many Duel Monster cards, nor does he play the game. Tristan is always the quickest to panic, but he will stand up to anyone if they mess with his friends. When Joey tells him about his sister, Serenity Wheeler (Shizuka Jounouchi), he quickly falls in love and annoys Joey about him and her.